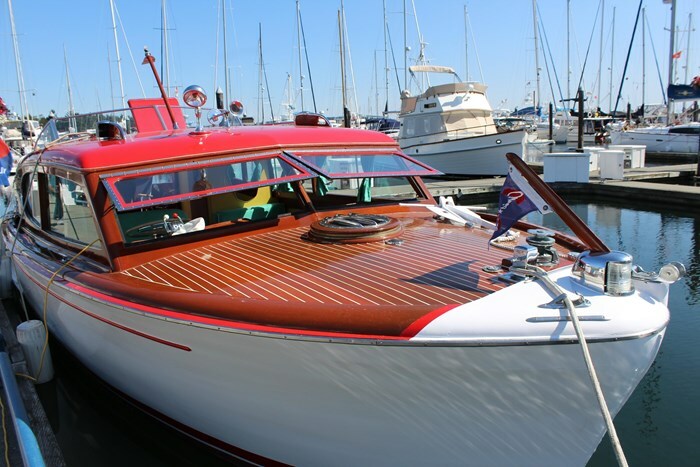 “Blue Moon” has graced our local waters around Sidney her entire life and has been boat house kept since new. 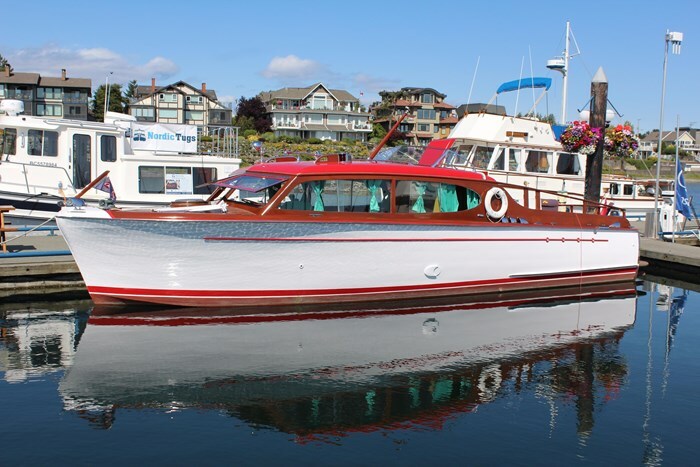 She was owned by the Pendray family of Victoria until the current owner purchased her in 1992. 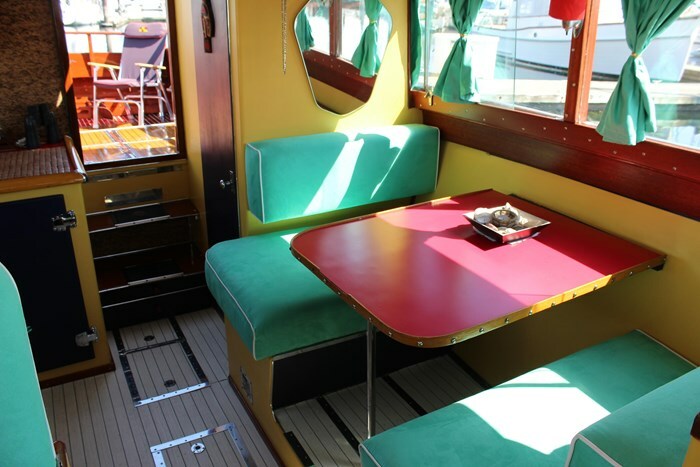 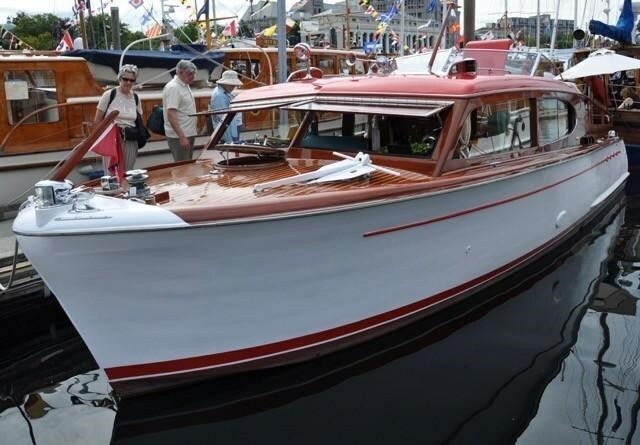 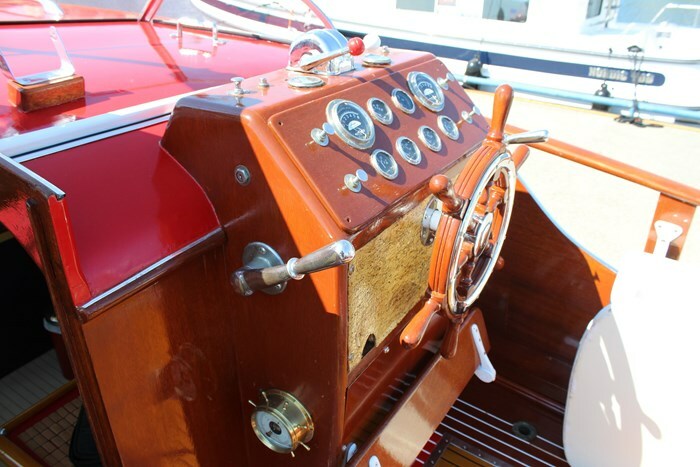 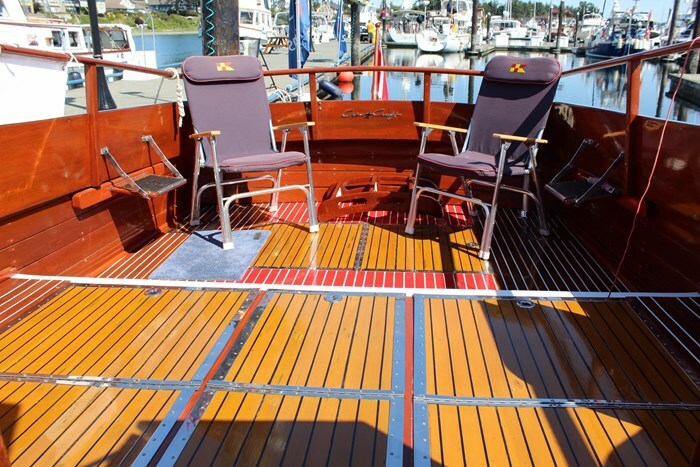 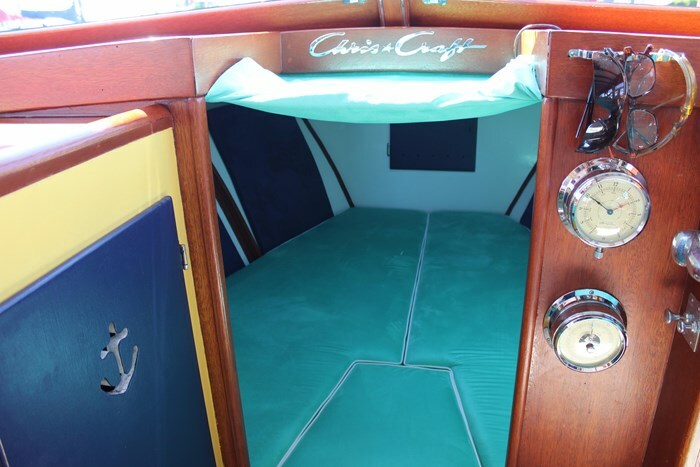 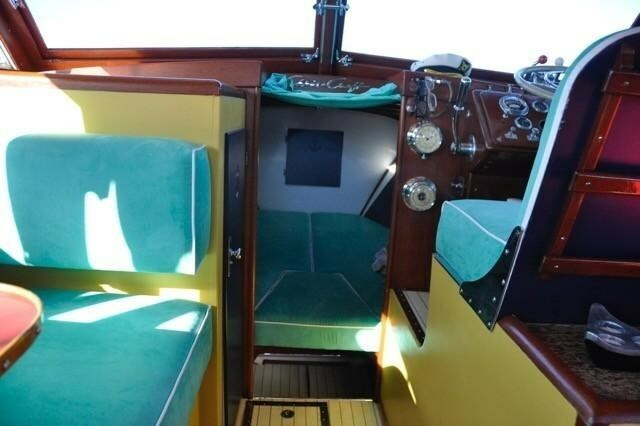 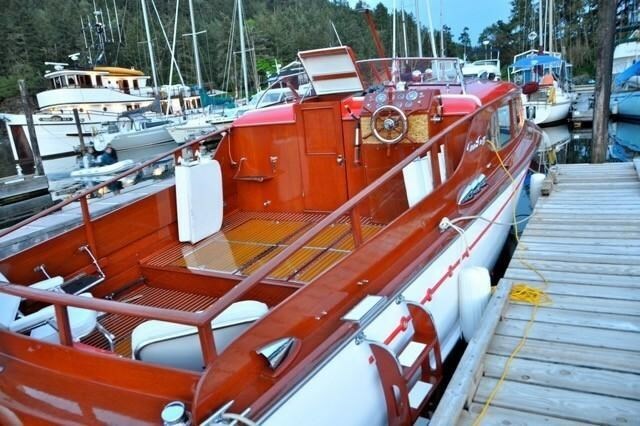 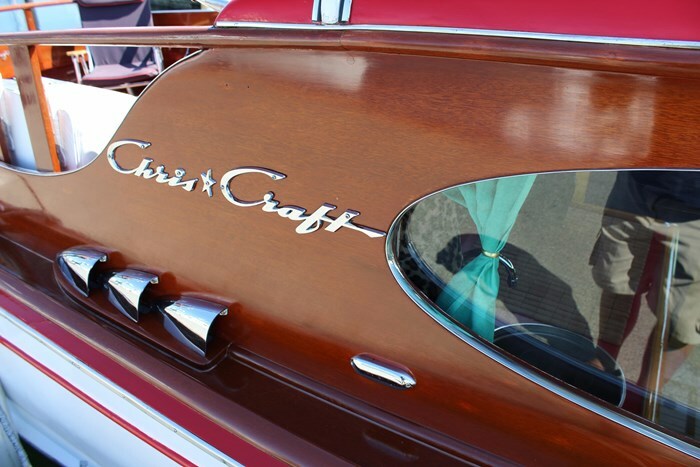 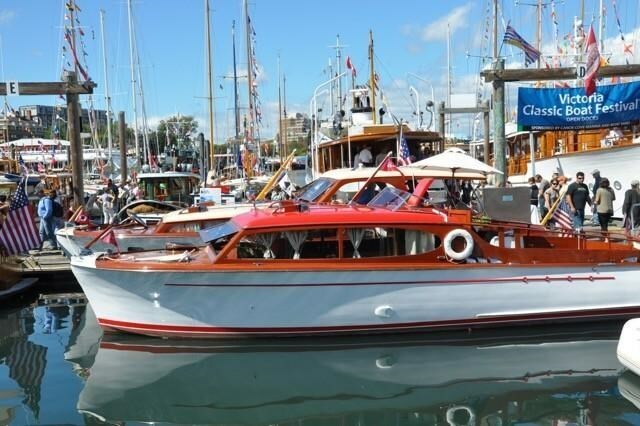 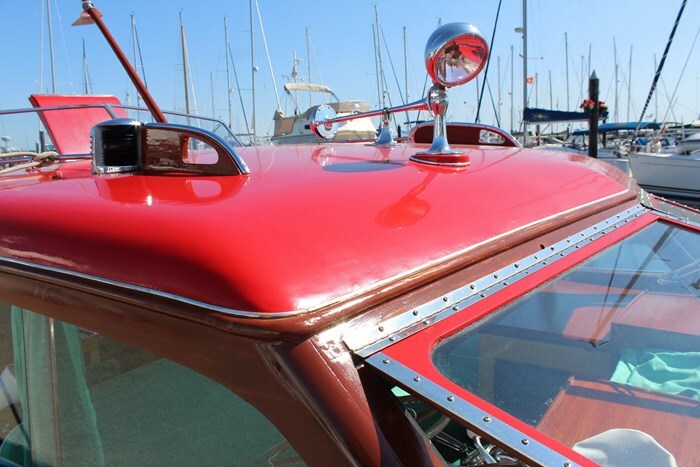 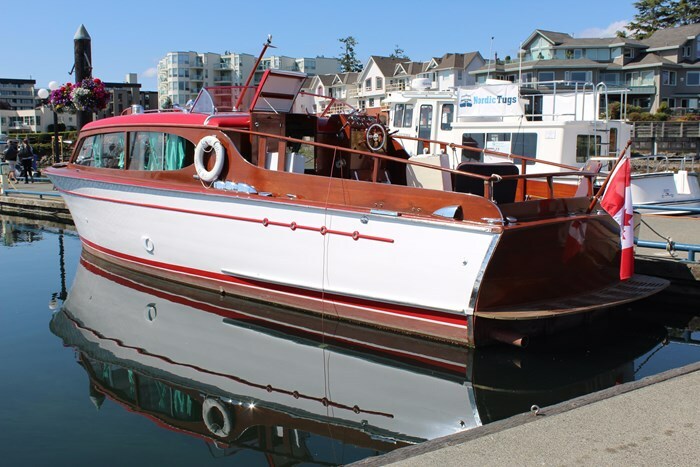 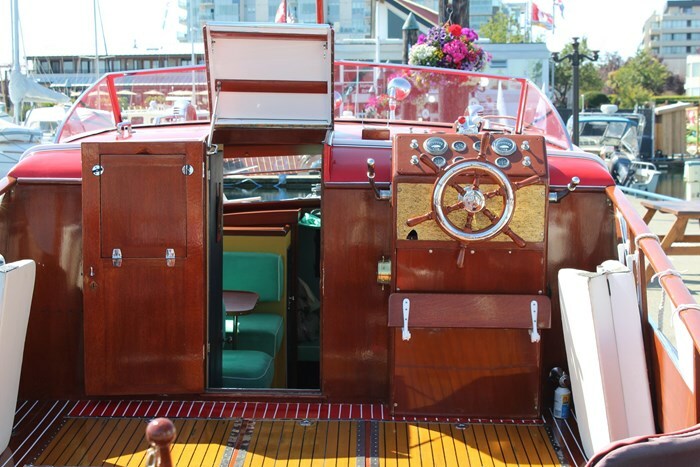 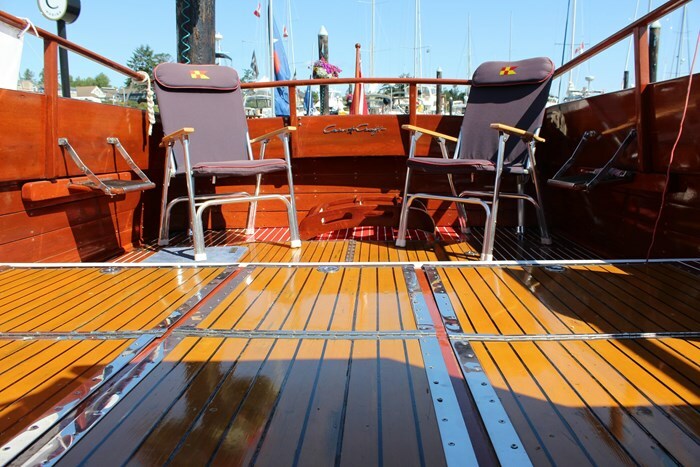 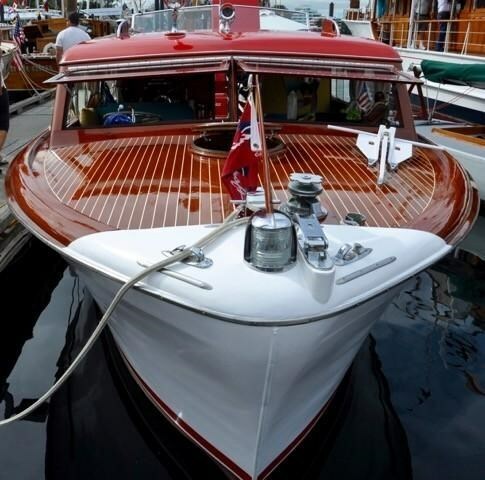 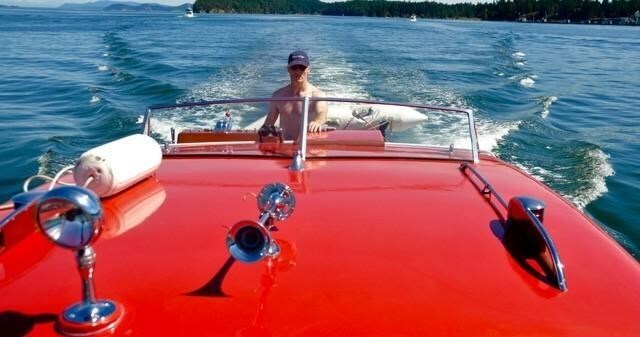 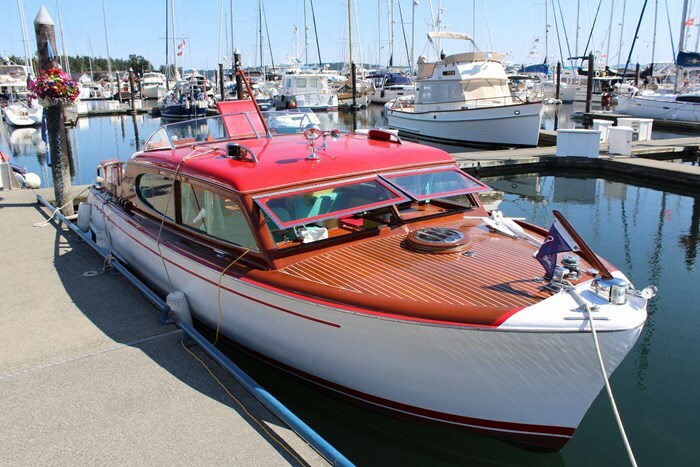 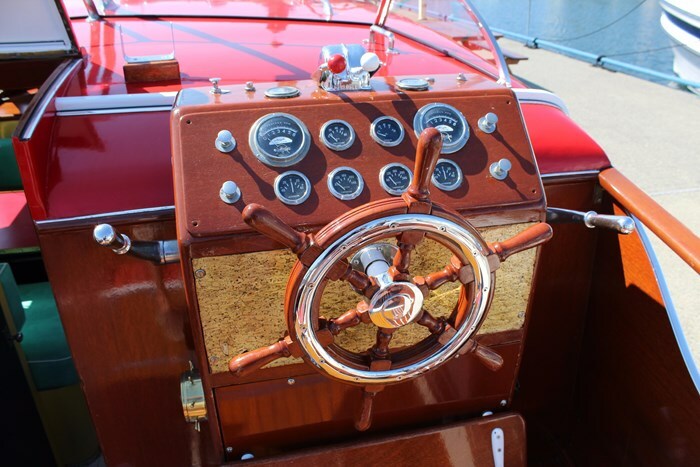 This Chris Craft model is a 1952 32ft Super Deluxe Enclosed with two helm stations which is very desirable. 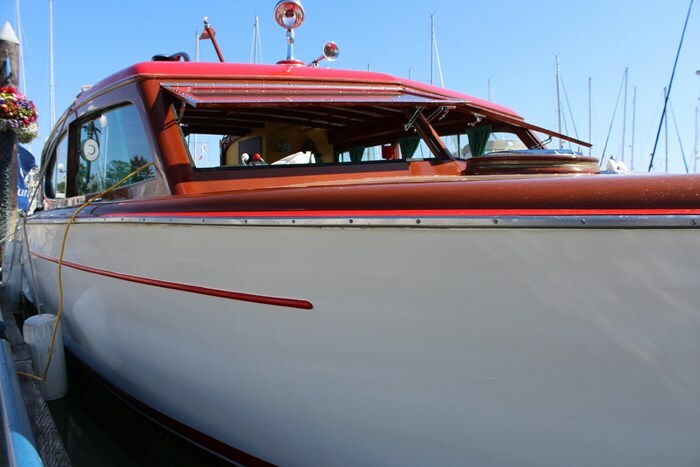 There were 130 of these models manufactured between 1950 and 1952. 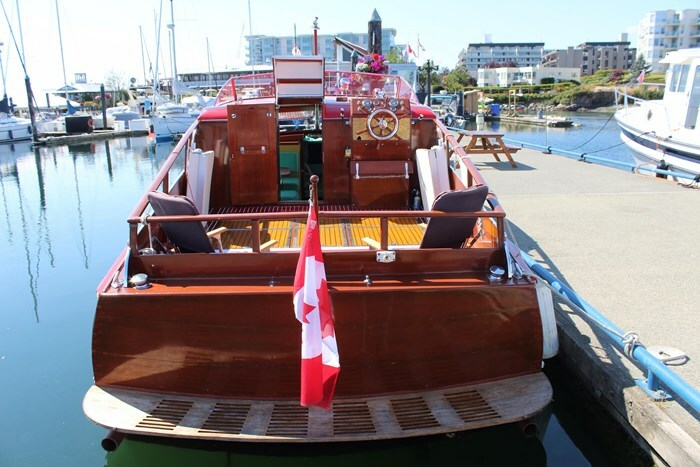 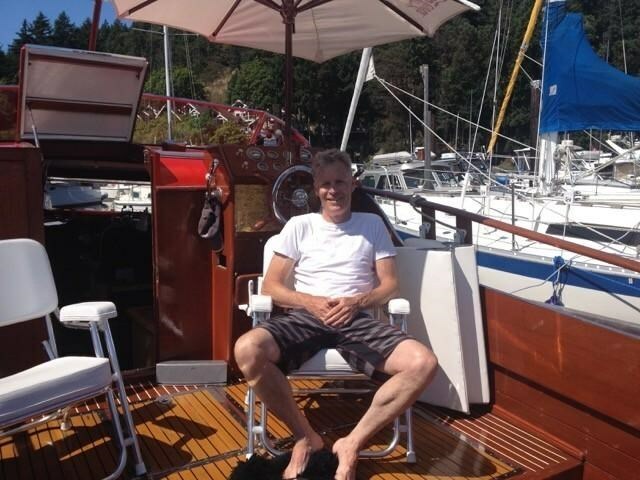 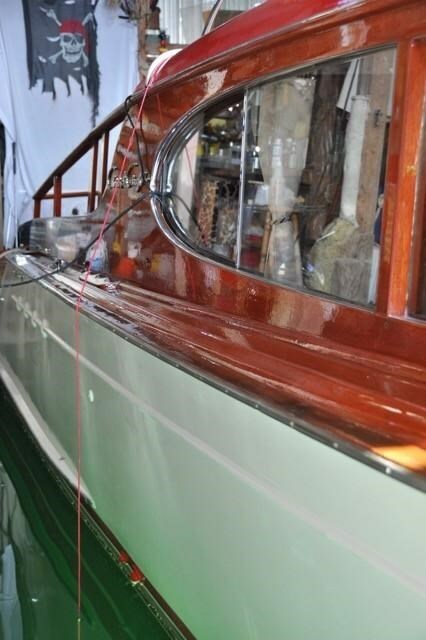 As we know these vessels are a labour of love and the current owner has passionately refitted her over the years. 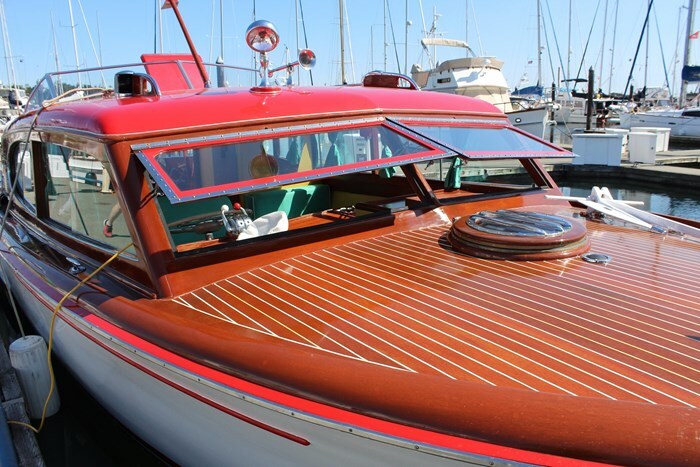 She is a beauty, and upholds the Chris Craft standards of perfection. 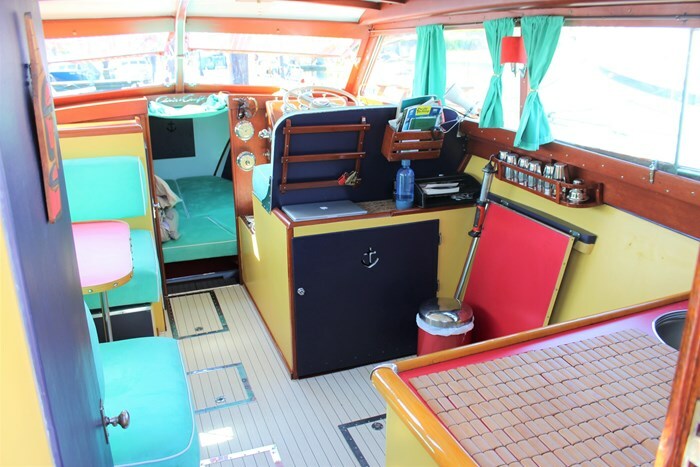 Her interior has been refitted and decorated in bright American Pop Culture colours of the time, which gives the interior a vibrant feel. 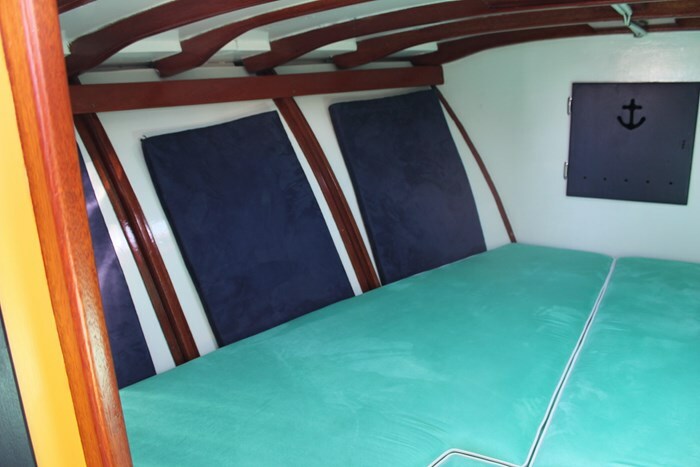 She features a V-berth forward and a dinette to port that drops to a double bed. 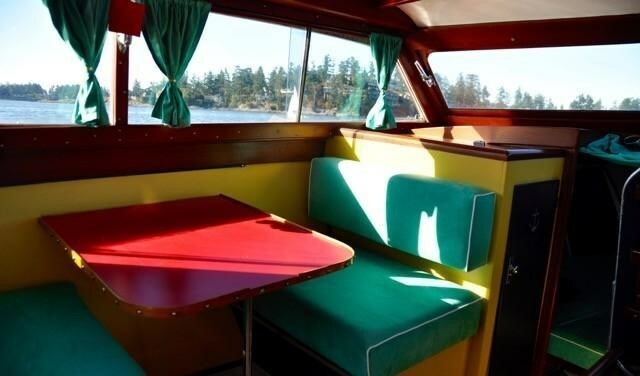 All new upholstery and foam. 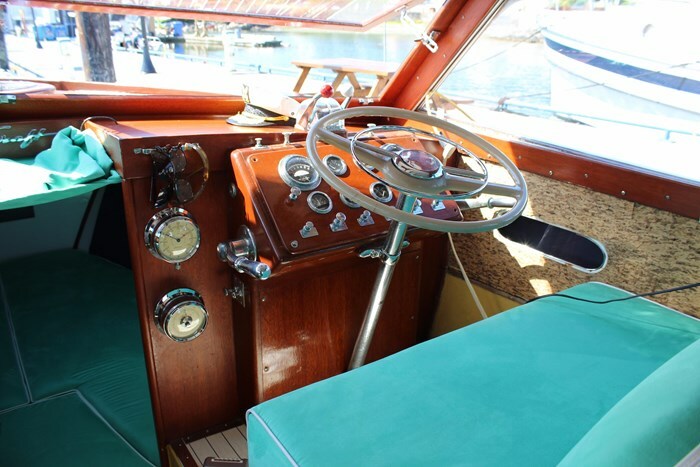 To Starboard, aft of the helm is the galley. 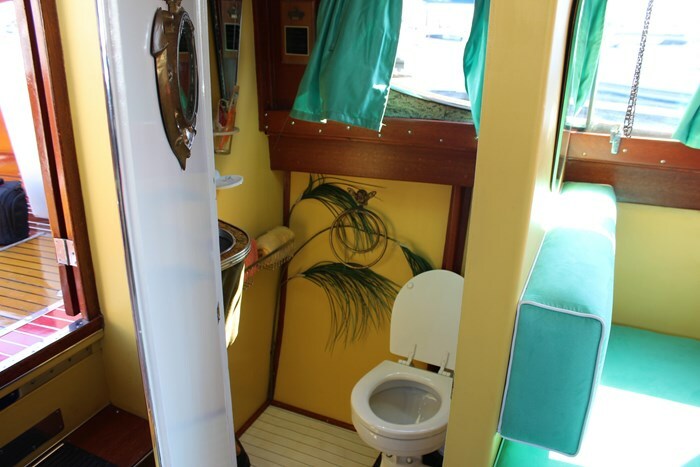 The enclosed head is truly a feature in itself, freshly painted, clean and fun, featuring a new Jabsco manual toilet, vanity with sink and pressured water. 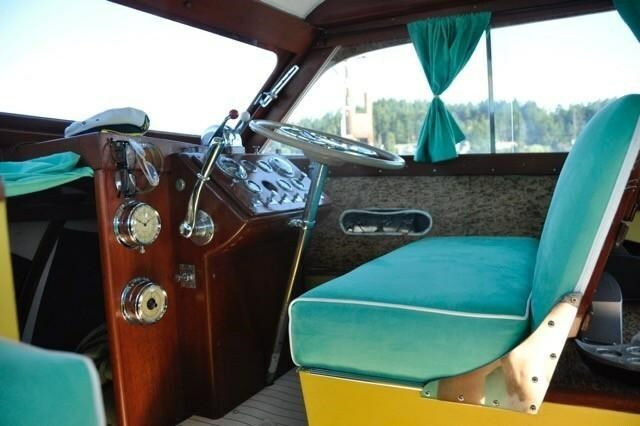 Her cockpit is large and inviting, featuring two fold up double helm seats. 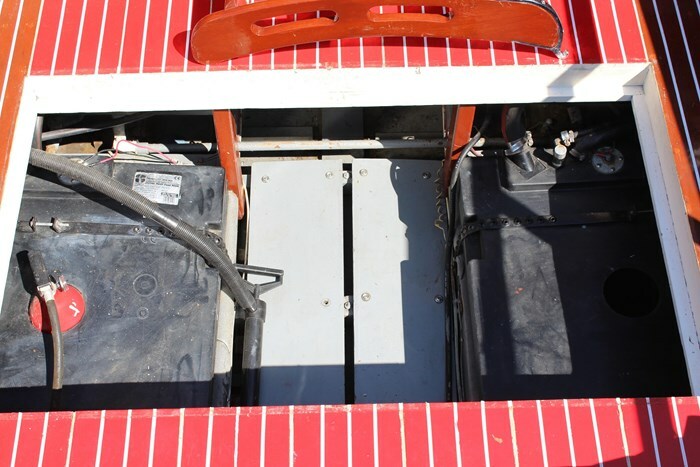 There is easy access to the twin engines from the cockpit, which are extremely clean and tidy. 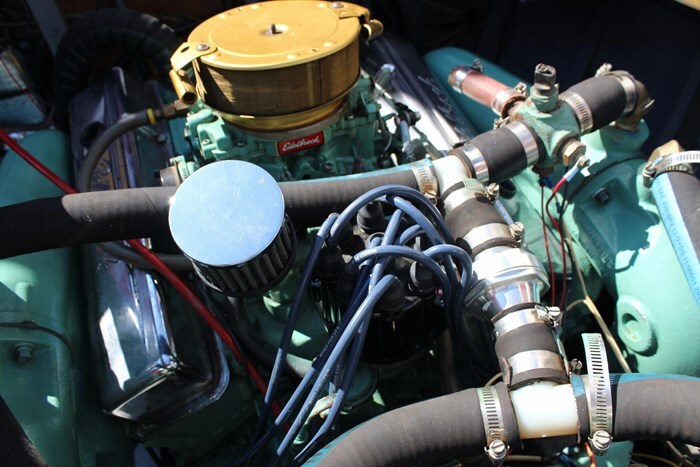 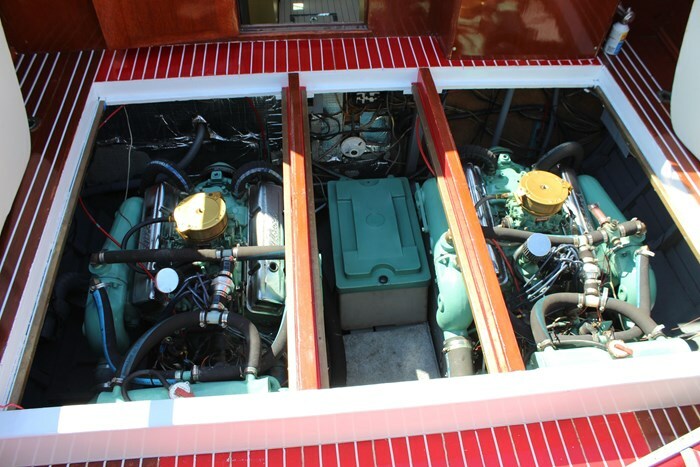 These twin Corvette engines have been well maintained including new risers and manifolds in 2016. 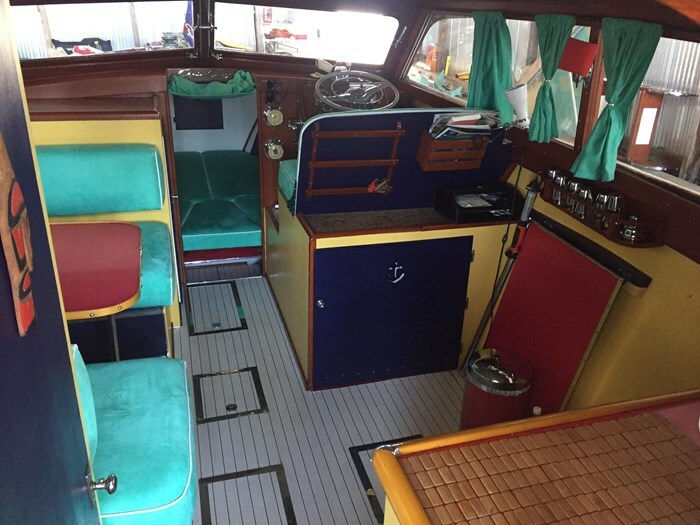 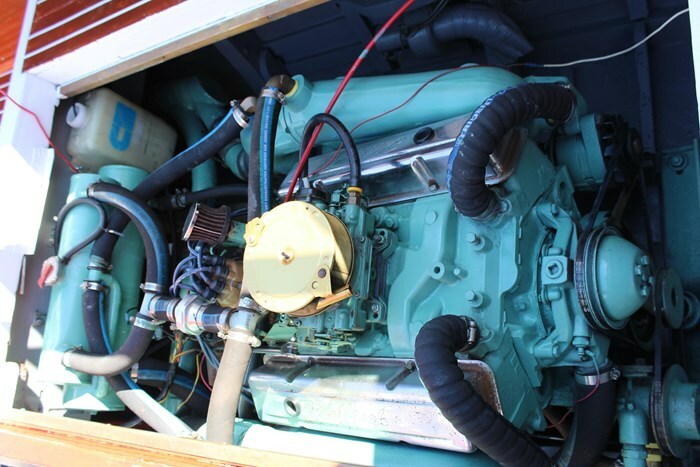 A few recent updates to highlight: fresh cabin paint and all new foam and coverings for seating and V berth; new risers and manifolds for both engines; reconditioned cooling system heat exchangers and hoses new thermostats; rebuild raw water pump; new starters; two new cranking batteries with new smart charger. 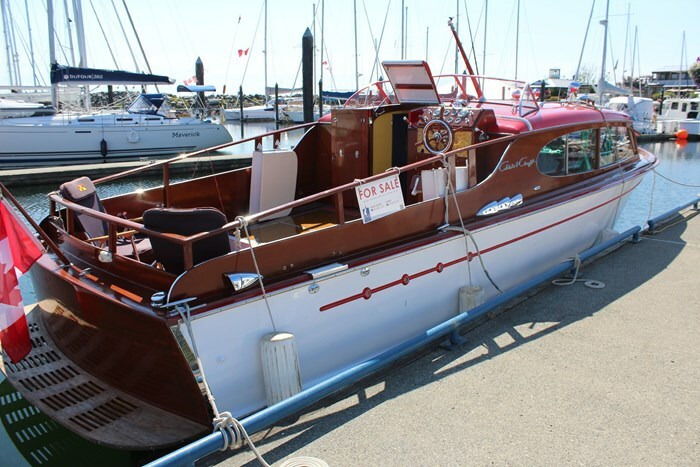 Items on the “to do “ list for this spring: rebuilding starboard carburetor; haul out in the spring to redo port chine plank; plan on fresh hull paint and varnish. 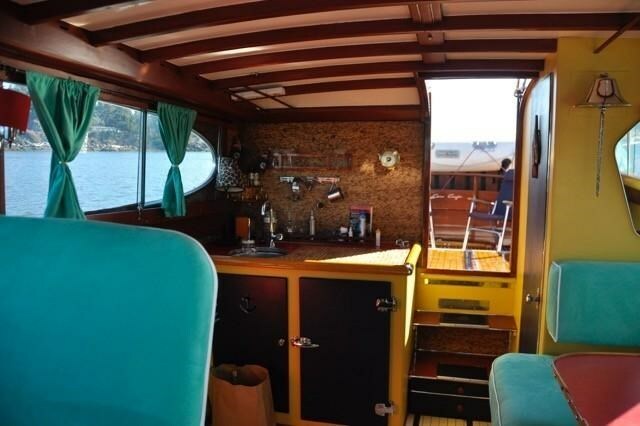 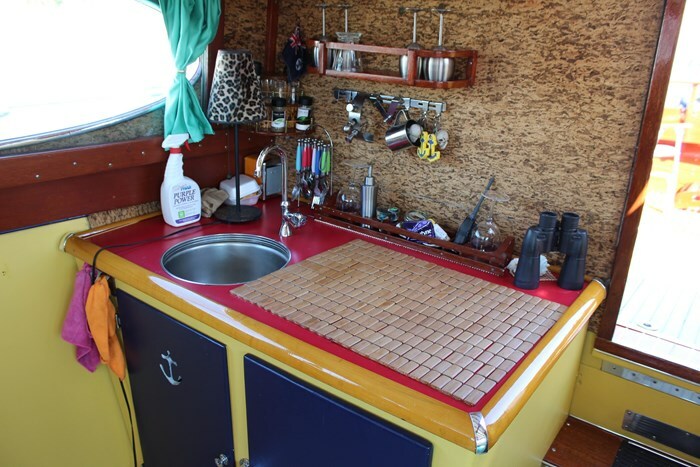 Galley features a large counter and storage below, sink with running cold water. 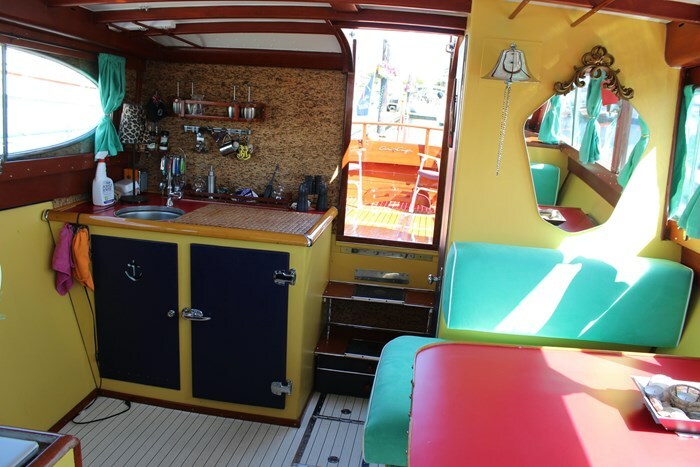 Enclosed head is beautifully appointed in bright colours and mahogany trim featuring a Jabsco manual head, vanity with sink and pressured cold water.